Today I took a long way home on public transit just so I could have a good reading session with The Shadow Rising. 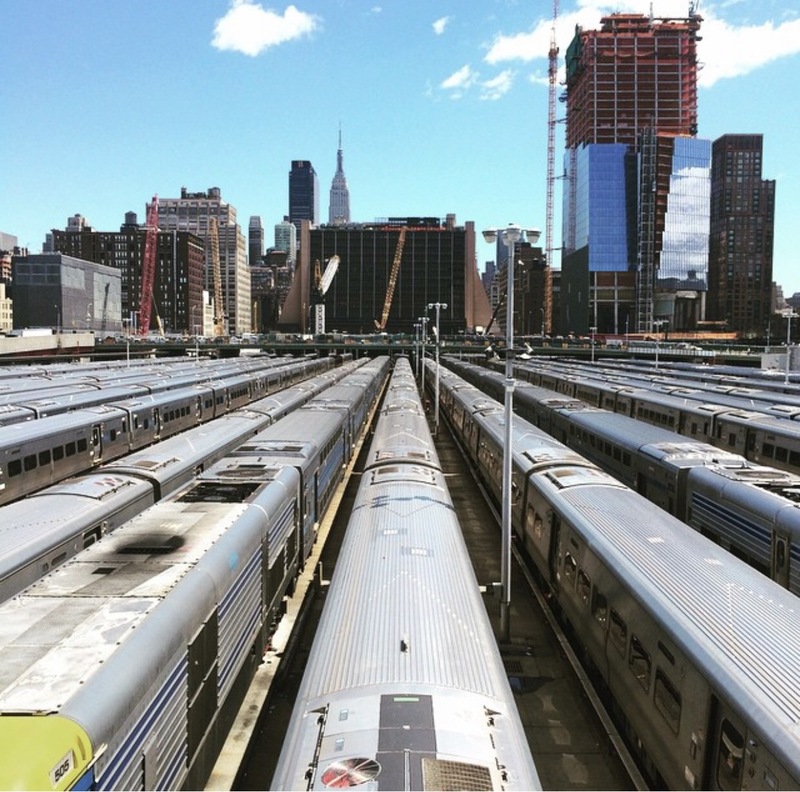 It was really enjoyable despite the train making several annoying stops in the bowels beneath Queens. If there’s not too many people bumping around and making noise, if there’s a descent place to sit, if I can keep myself from checking my phone and let myself decompress from the day…. well then the train is the perfect place to read. It’s got just enough noise to not be annoyingly silent. The movement of the train gives me that subtle reminder that I’m going somewhere too while I read the more daring adventures and tribulations of the characters I’m currently investing in. It’s also lacking in consistent data coverage. It’s got that lovely advantage of being separate from many of the distractions that I’m plagued with when I’m at home. At home I have my gaming consoles and YouTube and WiFi for endless scrolling on social media. Reading a novel is an incredibly rewarding thing for my brain. I invest time and emotion and intellect and it pays me back in dividends of cathartic and intellectual pleasure. The Facebook and twitter scroll as I peruse for interesting articles or pithy takes on current events mimics that loop but in a much smaller way. The scroll offers the illusion of pleasure in 5 minutes what a novel takes 50 minutes to do. The trouble is that I can scroll for 50 minutes and never once find something constructive or meaningful but my brain is tricked into thinking that the real treasure is coming on the next refresh. That’s why it’s so important that I take advantage of those times when the subway becomes the perfect place to read. It reminds me how rewarding focused reading sessions can be… and if I miss my stop it reminds me how incredibly immersive a great book can be- taking me to far away places faster than a locomotive. Do you have that ‘perfect reading place’? Feel free to share where you find in this world to get lost in another. The Dragon Reborn is an excellent follow up to The Great Hunt. There’s a certain locomotion to the whole narrative that makes things feel pretty fast(though far from thriller pacing) for a 600 page epic. My spoiler free recommendedation is that if you liked volume 2 that this delievers more of the same with its own set of surprises and developments. It follows the pattern of volume two by setting up a nice avalanche of things to occur in the second half so that it reads much faster than the first half. If you like Mat then you’ll have even more to love because his chapters are some of my absolute favorite not just in this book but in all three books thus far. And if you like White Tower intrigue or want more answers concerning Perrin and the wolves then you absolutely can’t stop reading yet. So TDR is pretty interesting because Egwene and Nynavae are tasked by the Amyrlin to discover the secrets and identities of the Black Ajah. It’s a thrilling espionage plot made even more interesting by the budding rivalry between Egwene and Nynavae. Their trio is rounded out by Elayne who has to reconcile her meek nature, her desire for friendship, and her natural ability to lead and bring compromise. This trio is further complicated by Egwene’s new vitality grounded by her promise to never wear the chain of the Seanchan. Nynavae’s struggle to control her own power while reckoning with the rise of her former pupil Egwene is another strand that binds this team together as they threaten to come apart at the seams due to the external pressure. It’s very compelling drama. Their character dynamics are good enough that it would be interesting to see them just attend classes like normal for a while in this brutal war college branch of an all female Hogwart’s College. But they don’t get any normalcy in this volume. They have to find a deadly and deceitful group of women and question the loyalty of everyone they meet. It says something about these characters that the push and pull between the three of them feels authentic and meaningful. I personally love Perrin and Faile’s romance in this novel. It’s weaved so effortlessly into the broader narrative of the external journey towards the Stone and his inward journey concerning the wolves and his place in the world that it just takes whatever investment you have in Perrin this far and demand you care even more. Faile falling for Perrin shows us the reader why we love Perrin through new eyes while also showing us a young boy who is trying to become a man or more accurately decide what kind of man he will become. I think seeing Perrin back at the forge is so important. It’s an eloquent reminder to us from Jordan that these characters are grounded by their home, their trade, and their family. For Perrin being a blacksmith isn’t just about the big moral divide between creation and destruction but the personal divide between himself and his past-the forge in the Two Rivers, his friends, before the Trollocs and Aes Sedai, Rand and Mat, both a year younger, without a care in the world. Matt being down for the count and/or not fully himself since Shadar Logoth is nigh unforgivable but Jordan makes up for lost time quite spectacularly. I think his first night out gambling when the gray men are trying to assassinate him is just an exquisitely hilarious and thrilling piece of writing. It makes me smile and shake my head just to think of it. I think Jordan’s ability to develop Mat in such a way where he both grows as a character yet remains completely and wholly himself is very satisfying. And now that I’ve codified it that way I’m very much reminded of The Red Queen’s War. I think Jalan and Mat are mischief makers after each other’s hearts. Finally I think the other brilliant aspect of this volume is what we do and don’t see concerning Rand. Is he going mad? Is he driving towards his destiny or being driven by it? For a book bearing his newly claimed title, he’s not really in it much at all and yet- I think he’s in it the perfect amount. We begin to understand what it means for Rand to be both the Dragon and Taveren as we follow Perrin and others traveling in his wake. We feel his isolation because being the Dragon even isolates him from us, the reader. It could have felt artificial and forced but instead Rand’s mostly offscreen journey feels pithily realized because of the context offered by other characters, the context we have from The Great Hunt, and the short but poignant glimpses that we do get throughout this story. Reviewer’s note: I was provided with an advanced copy of this book in exchange for my honest review. This review avoids major spoilers and strives to set the table for those interested in reading the book. 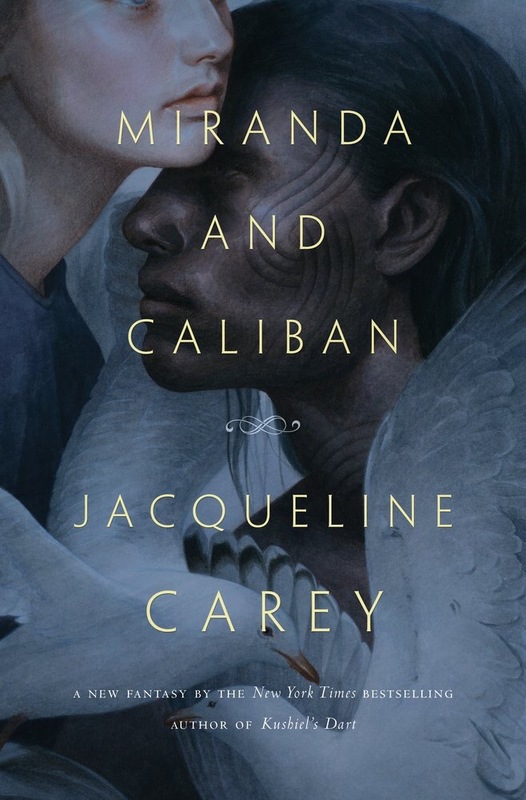 Miranda and Caliban is a heart breaking tale about the loss of innocence. It’s about a power struggle between a slave and a master. It’s about what happens when we move from childhood to adulthood. It’s about the dissonance between peace and justice. It’s about a man who cannot be tamed. It’s about a woman who cannot be fooled. It can be all those things and more because at the center lies a deeply personal story about two young people that we grow deeply affectionate for. It is no timid thing to set a novel in the context of what is widely considered one of Shakespeare’s finest plays. The story of which is significant and well known to me as an actor who has portrayed the role of Caliban. It’s that connection that incited my interest in Carey’s novel, and Carey rewarded that interest with a powerfully personal and beautiful story. I don’t know if I’d say that some version of The Tempest is necessarily required viewing/reading to get the full impact from this novel, but I do know that my relationship to the play colored my experience and expectations. The thing is that she does it so well. The language of the book is extremely readable yet ever so slightly heightened so that when she pulls direct quotes from the play in part or in whole they don’t feel out of place. Perhaps just as important is that narratively it fits as well. The bulk of the novel is set several years before the 24 hours of the events of the play. Shakespeare however did offer more than a little exposition throughout which Carey takes as inspiration to grow and expand upon as she tells Miranda and Caliban’s side of the story. There are contradictions to the story of The Tempest too; contradictions which to me seem to say perhaps the play is from Prospero’s perspective and therefore more than a little magnanimous to his faults and sins. Yes there is plenty of magic and fantastical creatures to be experienced here. There are spirits of air and earth. There are gods beseeched and storms summoned. Carey weaves the nature of Prospero’s magic and the magic of the island so naturally into her story that they necessarily can’t be separated, and yet in reflecting on the book my thoughts are filled with the emotional and intellectual journeys of the characters rather than the spectacle created by the magic. For me every good story has a core idea. Not necessarily a message but perhaps a value or an essential truth that it searches out or questions the nature of. For me that exists in Miranda and Caliban as that divide between innocence and ignorance that Ariel codifies in the above quote to Miranda. Because at its heart this is a coming of age tale. Both of our characters experience puberty in near isolation. They have no older siblings or understanding guides. What they have is Ariel and Prospero dispensing truth (as they see it) quite stingily in a way that serves to cut as much as it instructs. It’s in this aspect that Carey shines with a subtle brilliance. We as the reader likely have a much different perspective than our characters. We long to reach through the pages and tell them that they’re not at fault, they’re not to blame for the sins of their parents. We want to tell them that they’re dealing with a cocktail of abusive behavior and the normal struggles of growing up. But we can’t. And yet Miranda and Caliban are neither one idiots. They occasionally sift through the confusing lies and secrets and reach something close to the truth. Their ability to do that keeps us on the edge of our seat despite knowing the ending that awaits us when we catch up to the events of the play. It’s that quiet, inner search for the truth by our heroes that creates a thread of subversiveness throughout the story. What is a moral response to immoral totalitarianism (quite the microcosm here since Prospero is father, master, magus, and the essential ruler of the island)? How does one untie the knot of a parent-child relationship that is a mix of dependency, love, fear, and mistrust? How does, if even one should, protect others from an unaccepting world? These are difficult questions that Carey explores in a very specific, personal way. It’s not a sermon or a parable but it does cause reflection. Reflection that has meaning because we grow to love Caliban and Miranda so very much. I couldn’t close my review without first saying that as emotionally powerful and empathetic as this book is, it’s not without a little fun. Caliban is genuinely funny and by putting us in his shoes we are offered the privilege to laugh with him and not at him. Miranda has a biting wit that deflates the pomposity of her father even if she must do so in the confines of her own head. That sense of humor is part of what allows our characters to carry on in spite of their adversity. I highly recommend this book for anyone who has a passing affection for The Tempest and the character of Caliban. I also recommend it to anyone who wants a fantasy story with the intimacy of four characters, where the fate of two persons and their well being is the focus. It’s the story of young adults living in an oppressive society, but that oppression isn’t tall white buildings and an evil regime- it’s one man with hate, vengeance, and pride as his ruling council. Miranda and Caliban succeeds because it distills these big ideas on such a personal level with clarity and compassion. 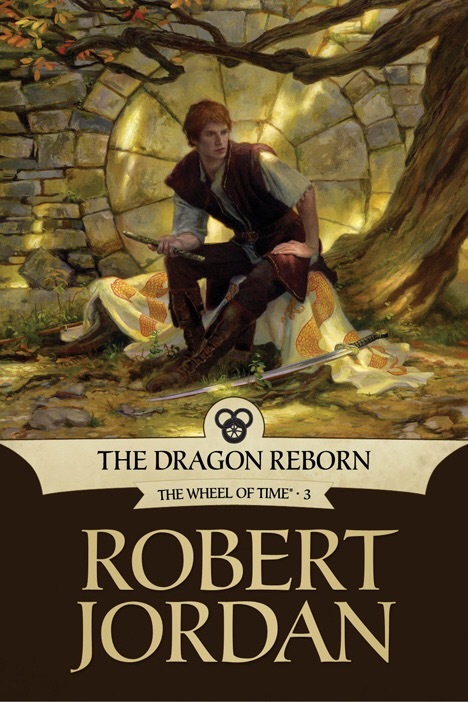 I think the idea will be to update you guys as I continue reading the Wheel of Time this year rather than doing full exhaustive reviews for each entry. 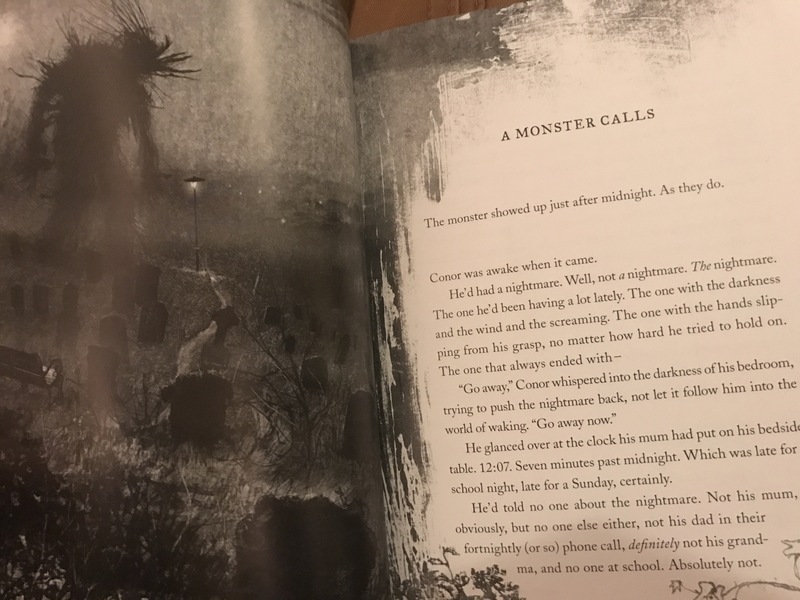 First of all- here is the video of me chatting about WoT and A Monster Calls(which there is also a mini review of up here on the blog). What follows is a reflection on WoT book 2-a spoiler free portion followed by some spoiler filled reflections. The Great Hunt is a five star continuation of the series. Jordan picks up right where he left off. Rand is paralyzed by fear of what might be and wrong about what has been. He’s dealing with the weight of the world slowly being heaped upon his shoulders and this book delivers a really compelling exploration of that ‘denial’ portion of the hero’s journey. It also does it in such a compelling way that this book is a relatively ‘fast’ read for an epic fantasy and delivers a nail biting ending. I think when I first read this book I kind of just wanted Rand to face the music a little sooner, but this go I really just relished the slow burn of him grappling with fate. This series is 14 books long so there’s no reason to rush, but there should also be meaningful progress as well. And the series isn’t just about Rand either. We must have progress on multiple fronts for this to be worth it. That meaningful progress necessarily takes on lots of different forms as we get a more diverse perspective of the story both in terms of character and location. 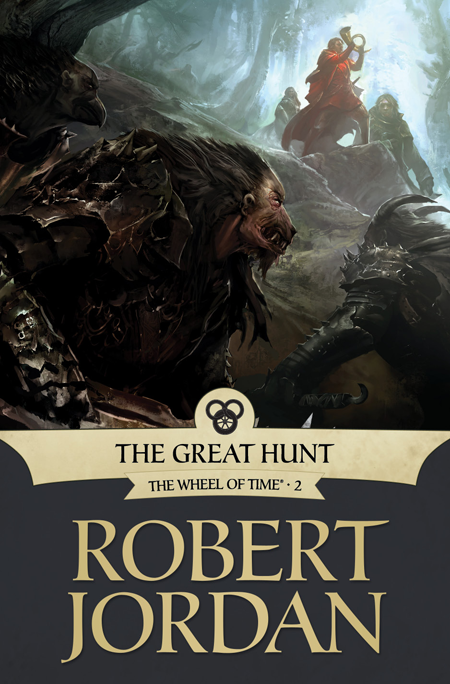 If you liked the first book but were unsure if you should commit any further I say The Great Hunt feels like a good barometer to test whether or not you are willing to invest more in the characters and the world. Jordan delivers on that character development so well, that for me, that question gets a resounding yes. I think the stars of this book are Perrin and Nynavae. Perrin further developing and wrestling with his powers is a great way to explore his character. Perrin always feels a little big and awkward, but his wolf side is instinctual and unashamed. Seeing him begin to take ownership of that is really compelling. Nynavae’s test in the ter’angreal to be an Accepted is perfectly delivered. We can’t view Nynavae as some kind of controlling or overbearing mother figure once we see into her heart with the clarity offered during her test. Her struggle is emblematic of the struggles our other characters are facing(that conflict between who they thought they were and who they are becoming) but it’s so important this happen before our eyes for her. It humanizes her and it colors how we see her even through the eyes of others going forward. It’s important for a series of this length to really showcase new portions of the world, the magic, the setting, the cultures in each volume. I think the highlight of those features in this volume is the Seanchan and their chained Aes Sedai. Egwene wearing the collar is simulatenously my favorite and most hated portion of this book. It’s powerful to see Egwene struggle against her free will being stripped from her but it’s also really painful. She comes out the other side of it a different person and we’re still unsure at the end of this book how different she’ll be. I’m really happy with how Jordan introduced this concept, made it personal, and then got Egwene out of it before the end. Nicely done. I finished this book in 8 days. I took a breath or two and decided that the only book I wanted to read was The Dragon Reborn. Really liking it in the first two hundred pages. There’s a definite weight to most everything now and the temperature is turned up on all our characters. I’ll have more thoughts next week along with the review for Miranda and Caliban! 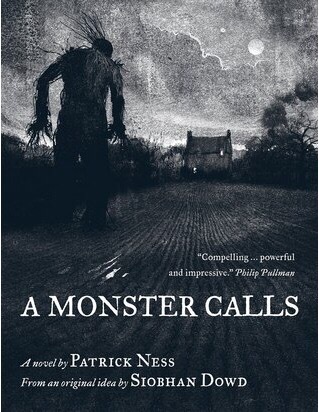 Though it’s been out for a few years, A Monster Calls is getting a lot of attention lately due to the upcoming film. I’m glad it’s getting all this attention because, as it turns out, it’s excellent. Before I sum up my thoughts for the book and why I think it is worth a read I must mention the beautiful layout and illustrations. It has all the care and craft that a children’s book might though it’s a bit longer and perhaps more mature. Jim Kay completely keeps us in the world of the story and helps us feel what Conor is feeling in perfect concert with the text. Like any great book for any age, Ness’s writing doesn’t talk down to any reader. He uses simple language and keeps it moderately paced in a way that makes every line feel purposeful. And line by line we’re drawn in to a story about stories. This is where the short tale could seem ponderous or self referential in a bad way, but the stories within the story serve such a great purpose both in revealing character and in progressing the plot that we don’t feel cheated or “on pause” in the slightest. As Ness codifies in his introduction these stories “make trouble”. Another place the book succeeds where it might easily faulter is with its young and emotionally troubled protagonist. We receive this story through his point of view and it’s heartbreaking and intimate without being maudlin or melodramatic. I think it’s because A Monster Calls is primarily about a character in conflict with pain not just a character in pain. And I really don’t want to say too much more about this short novel. It’s a book that can be read in probably the time it will take me to get to Manhattan from Queens, see the movie, and return home, if not faster than that. And yet I’m very glad that I had this experience of reading the book and viewing the illustrations in a reader’s isolation. It serves the story well because we all have felt alone with grief, no matter our age. Stories are one of the best ways to escape and reflect and react to our grief. We can then connect. We can move forward. We can live the wildness of our own story. I’m sure at this point The Eye of the World has been reviewed and discussed countless times since its publication nearly thirty years ago. I may not have read the whole series(yet) to give this first volume the full context, but having read it twice now, I feel somewhat qualified to add my voice to the rheems of criticism on the beginning to a landmark achievement in epic fantasy. I really loved this book. It’s epic and immersive in all the right ways for my tastes. It might have its share of fantasy tropes but it owns them with an elegance I find appealing. There are great set pieces of magic and action that serve to underpin a revelatory journey that exposes both Jordan’s world and his characters. I know this book gets compared to Tolkien’s Lord of the Rings which is a pretty fair comparison(heck the cover of the book boasts about it). And… well I actually like that in this way it’s Fantasy comfort food. It’s familiar. 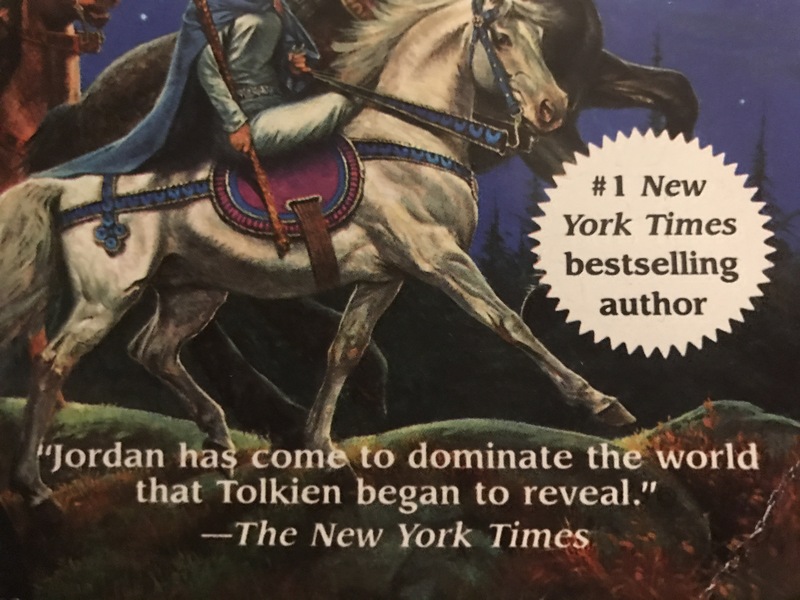 I don’t see this as a negative when it is executed with the elegance Robert Jordan wielded so deftly. Furthermore this facade of familiarity allows Jordan to do some pretty heavy lifting in the world building department without overwhelming the reader. Trollocs and fades may be easily accepted as Jordan’s orcs and wraiths. However the One Power, Aes Sedai, Warders, Ogier, and chiefly the concept of ta’veren and the Wheel of Time(not the book series but rather the actual Wheel of Time that is referred to by characters in the book) are all slightly more deviated from their possible inspiration if not wholly original. He also subtly lays the foundation for future conflicts, characters, cultures, and quests in the later books(I know this experientially since I have read through book 5). These things didn’t weigh down on me when I read it the first time three years ago. Knowing what I know now of secrets later revealed, I am somewhat in awe of the plans and worldbuilding he must have already laid out for himself- or at minimum his ability to craft something coherent from his narrative blueprints that give that illusion of history and scope that all great fantasy does. So I’ve established that it scratches that very important ‘fantasy world building’ itch. It feels familiar but also ancient and different and interesting. But it also feels weighty and important. The prologue depicting Lews Telamon’s struggle with the ancient evil is epically tragic. The story proper is a slow build of the same clash in the present for our characters, and that journey to the high stakes conflict is the heart of the book. It’s a hard thing to pull off, this epic fantasy idea of the battle between Light and Dark, but I feel that mostly Jordan awed, mystified, and terrified me nearly every time he intended to do so. No not the legendary band. I’m of course referring to the elemental magic system of the One Power and it’s use in TEotW. It’s used fairly rarely and it’s workings are still mysterious at this point in the series, but man is it cool! I really think that it’s a success of the book that the moments in which the One Power is wielded are some the most memorable scenes contained therein. The other thing I really love about The Eye of the World and look forward to most in future volumes is character. There are just so many great characters. Rand is stubborn and loyal, yet bold. Perrin is deliberate and protective, yet cunning. Mat is mischievous and brash, yet brave. Egwene is kind and inquisitive, yet ambitious. Nynaeve is solitary and shrewd, yet fiercely supportive and loving. The only weakness TEotW suffers from in this department is that it is anchored so heavily from Rand’s perspective. This gives a slightly slanted perspective on a couple of romance plots that could have benefited from more than just Rand’s chivalrous/coming of age perspective. That said I really grew to love all of these characters, though some of them I acknowledge I love more because of the context offered by later volumes. All in all, I truly relished immersing myself in this very lengthy volume of epic fantasy and look forward to continuing my journey in the series. I read 53 books this past year. That included rereads, novellas, graphic novels, but I also read my fair share of EPIC fantasy(and Science Fiction). Now I’ve already made a video concerning this list, but I’ve also added to this list to reflect more than just the books that came out this year and include my favorites that I happened to read this year too. The list is in chronological order throughout the year when I read them. I got so hyped for Force Awakens that I decided at the end of 2015 to read the alternate “Legends” universe future of the Star Wars universe after Return of the Jedi. I’m so glad I did. Zahn just delivered a really great trilogy with the these books and I completely understand peoples’ fondness for them through the years. I actually don’t think the strongest part of these novels is Thrawn but rather the insight it grants us into the minds of Han, Luke, and Leia as they struggle to make the rebellion into a governing republic. And yes Mara Jade is awesome. These books do the most important thing in the very best way. By most important thing I mean character. You just fall so very hard for these characters. Their hopes, their dreams, their friendship with each other. It’s done quite elegantly with a backdrop of high adventure and heist-filled flair that keeps you turning pages and wringing your hands for those characters you love so dearly. There’s a lot to be said about the subtle brilliance in The Chronicles of the Unhewn Throne: the elegant world building, the purposeful yet mysterious use of magic, the epic scope and stakes that slowly rise to the top. All of this is delivered via characters we grow to genuinely care about underpinned by set pieces that inspire and excite. I can’t wait for more from Mr. Staveley to say the least. My fanaticism for Sanderson is rivaled by my ardor for Lawrence. Mark again shows us that when it comes to the combination of pithy wisdom, dark humor, and the gothic aesthetic of horror fantasy there are perhaps no rivals. It’s a rare thing that a book that makes me laugh so much and care so much can also leave me with images and ideas that I believe might haunt me for years to come. The Red Queen’s War is a must read companion series to the Broken Empire trilogy whether you liked/finished those books or not(I think they’re excellent as well but the character of Jalan seems to appeal to people who found Jorg completely intolerable). The children of angels and demons battle in pre WWII era Spain. That in of itself is worthy of a movie by Guillermo Del Toro but what really sells this book is the heartbreaking tale of family and intimacy at the core. It’s just so powerful and human and it proves that Fantasy can be used to great effect to tell a multitude of stories that speak to the human experience. Anthony Ryan entered the public consciousness of SFF fandom with his epic sword and sorcery tale Blood Song. A book that I love so much that I both listened to it and then read it again this last year. Some were unsatisfied with the conclusion to Raven’s Shadow-I found the conclusion satisfying if a bit of a deviation from the style of Blood Song in service to the themes Ryan wished to explore-BUT we’re here to talk about The Waking Fire. This book is just dang good fun. People drink dragon blood and get powers. There’s really cool tech, action, and characters with a great story of mystery, corporate intrigue, and magic that ties it all together. Absolutely cannot wait for the next installment in this series. A mystery set in WWI concerning a medium who talks to soldiers after they’ve perished on the battlefield. It’s a compact and unique tale that won me over not just by the strength of its premise but by the magnetism of its protagonist. I really, really, really want a sequel. Mark Lawrence decided to be a cheerleader for this under-appreciated self published series and boy am I glad that he did. The Books of Babel series is a singular story of high adventure and mystery in a steampunk world. I just can’t get enough. There’s more than a little wisdom to be mined and head scratching to be done when you consider what Josiah might be saying with his world of the Tower all the while he delivers a genuinely fun romp with a fantastic cast. My elevator pitch for this self published gem is “American Gods -did you like that?- WELL then READ THIS BOOK” Paternus is good enough to survive a comparison to Gaiman and that in of itself is saying something. The ancient deities described in this book became characters I cared about even with their immortal otherness so brilliantly realized. Add to that the character of Fi who serves as our eyes on the mortal ground with all her attitude and coming of age struggles and we get a book that hooks both heart and imagination. Can’t wait to see where Dyrk takes this world next. Also I want a novella about Tanuki. FOR REAL I love that Racoon-god-bro and I need more of him. Honestly I gave out a lot of 5 star reviews this year. I just read so many good books that it’s hard to leave some out on a list like this. I really enjoyed The First Law trilogy by Joe Abercrombie. I also throughly enjoyed the John Cleaver books by Dan Wells, Lost Stars by Claudia Gray, The Darkness that Comes Before by R Scott Bakker, and the first three Witcher books by Sapkowski. I also want to continue series like the Dresden Files and Ryria Revelations into my reading goals this year. Thanks for reading! This should be a home for my longer form thoughts on books I read this year with maybe a little TV/video games mixed in. I’ll be supplementing that with some videos too depending on the nature of the thing that I want to talk about. Disclaimer: I received a free ebook copy of Paternus though I mostly read from the paperback copy I purchased. I also like many of these authors as people and interact with them on Twitter, Facebook, and the like. I’m not unbiased but I do strive to be honest and authentic about the things I enjoy.